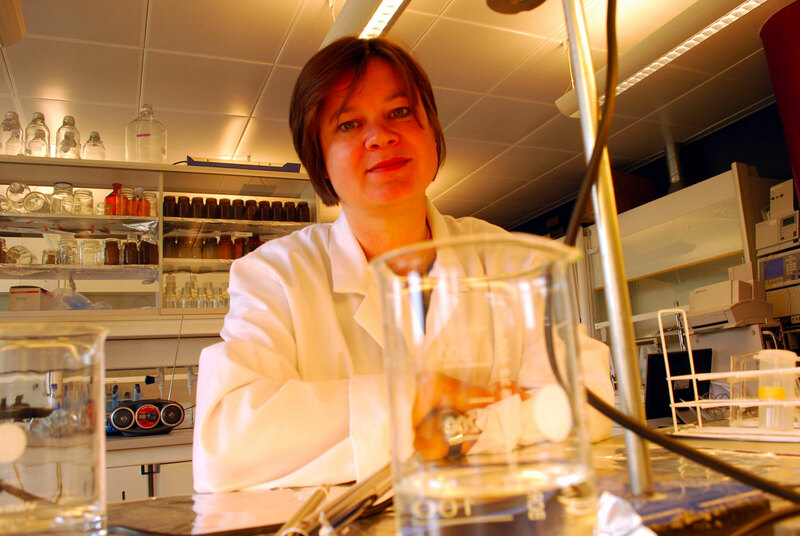 Environmental chemist Dorte Herzke has an urgent mission. If she always seems to be locked away in the lab it’s because that’s where the magic happens, where she and her team are trying to figure out how to save the world. Dorte Herzke taps the end of a blue ballpoint pen on her desk. The tapping on her desktop accelerates. This focus on the big picture and her eagerness to find measures that actually work are recurring themes in Herzke’s career. When all the other students in her Chemistry class at the University of Berlin intended to go into basic research, Herzke decided to join the Institute for Water, Soil and Air Hygiene in West Berlin. Herzke completed a PhD in Analytical Chemistry in 1998. And what led her to Tromsø? She says it was a combination of coincidence and luck. Herzke’s curiosity about chemistry, nature and the environment was piqued when she was still a child in Berlin. Her father should probably take a lot of credit for her career choice; he is also a chemist. Nonetheless, it was many years before Herzke decided to follow in her father’s footsteps. “I was rebellious and would rather do anything besides studying chemistry,” she laughs and says she was toying with the idea of becoming a designer. Herzke’s focus at NILU is environmental toxins in humans, animals, air, water and products. 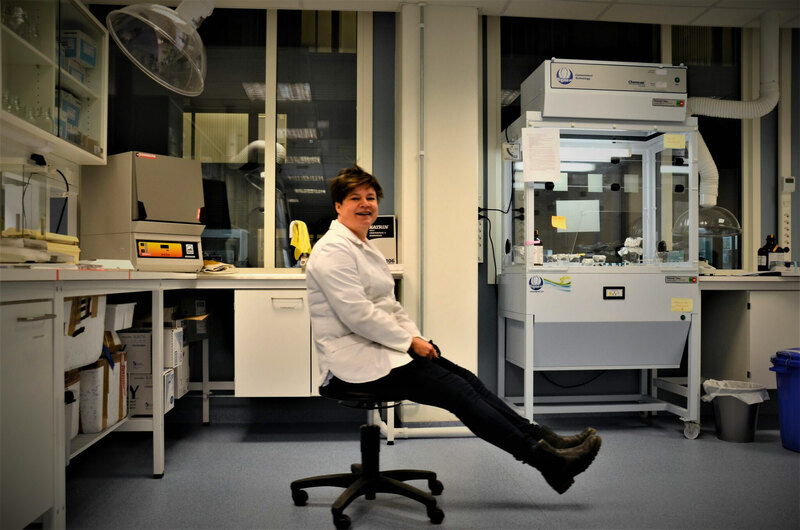 Among other things, she is responsible for a project that aims to find new pollutants in biological materials from Arctic regions. Herzke was also active in the European CleanSea Project, which is focused on plastic waste in the ocean. Over the past couple of years, she has also dedicated a lot of time to the “Check your artificial soccer turf” campaign (Sjekk kunstgressbanen). Herzke and her colleagues recruited 12 000 schoolchildren to help find out what happens to the 3 000 tonnes of so-called crumb rubber granulate that disappears from artificial soccer turf in Norway each year. “The whole project was triggered by the fact that I walk past Gyllenborg School on my way to work every day. One day I saw two huge sacks of rubber granulate that would be used to replenish the artificial turf in the schoolyard. According to Herzke, rubber granulate is often made from old car tyres. The researchers are now trying to find out what happens when these rubber granulate balls end up in the ocean. In all her projects, Dorte Herzke is fascinated by the complexity and interactions in the environment. Most of the research done at NILU’s laboratory at the Fram Centre is focused on the Arctic. According to Herzke, this is both exciting and challenging, partly because the effects of pollution are especially noticeable in this region. Herzke says it is important to acknowledge how great a factor human activity is in the amount of pollution in the Arctic. “We continue to pollute the world, and this will have consequences for the health of our children and for the animals that live around us. We know a great deal about the effects of our actions, but we choose not to act accordingly. Sometimes it seems as if we are doing more of what shouldn’t do, not less of it. Herzke fears that in only twenty or thirty years, the air in nearly all the world’s metropolises will be as bad as it is now in Beijing and Mumbai. She is also afraid to even more people will lack access to clean drinking water and that our food will be full of harmful chemicals. Herzke’s office is located on the third floor of Fram II, the Fram Centre’s new wing on the south side of the complex. People who work in these offices can expect visitors to drop by around noon on the first clear day after 15 January. In Tromsø, that’s when the sun peers over the southern horizon for the first time since late November, and those in south-facing offices have front-row seats. But today the sky is pitch black and a daylight lamp next to Dorte’s computer monitor is standing in for the sun. Despite having lived in Tromsø for two decades, she is still not a fan of the dark period. Some of her aversion might come from her first encounter with northern Norway. They decided to drive through Sweden and Finland and approach Norway via Kilpis. This was before GPS, so they used a good old-fashioned map to find their way. But driving through Lavangsdalen and realising that they should only have a few dozen kilometres to go before reaching Tromsø, they began to wonder if they were on the right road. Needless to say, the couple was welcomed with open arms and ultimately made themselves a new home here. 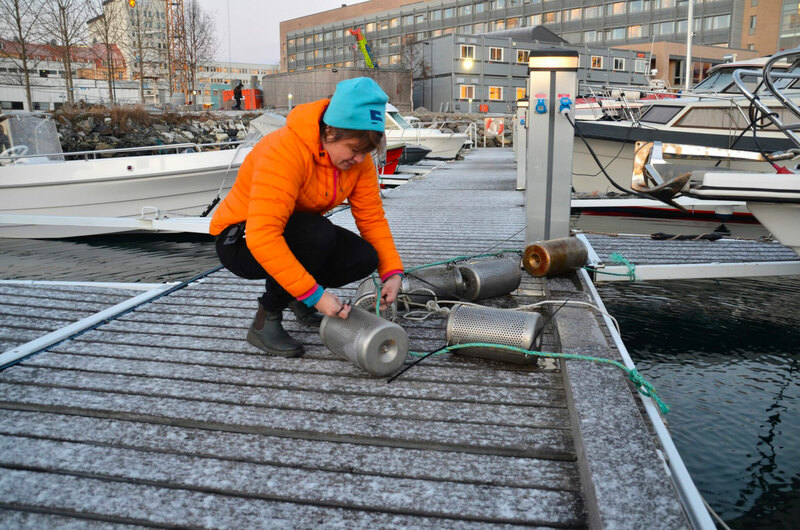 But when Herzke thinks back on her first year in Tromsø, it is almost exclusively her work she remembers. 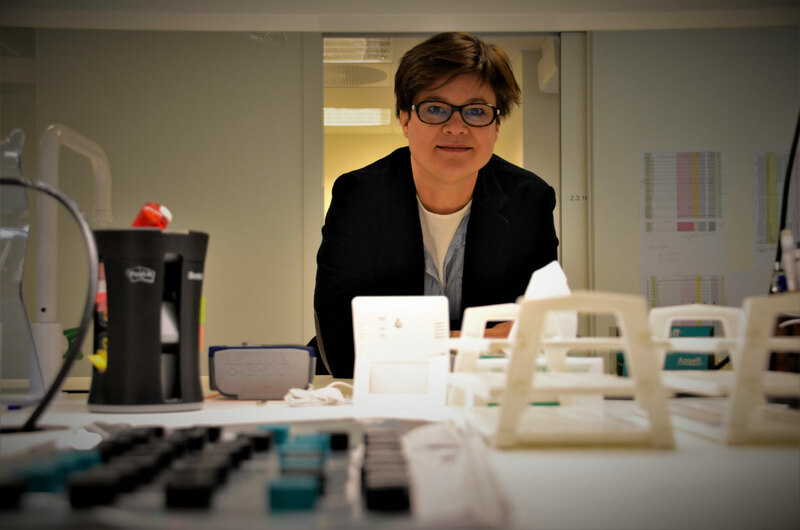 In addition to her exciting job, credit for keeping Herzke and her husband in Tromsø goes to the mountains, ski slopes and forests. They try to get out as often as they can with their two teenage daughters. Outdoor excursions are great for thinking deep and thinking big. For Herzke, this may mean pondering new projects she might start at NILU. “My interests seem to change all the time. Fortunately, I am in a position where I more or less create my own working situations. Since our work is based mostly on projects – and one of my responsibilities is precisely to create new projects – I tend to come up with suggestions that align with my interests. Of course, nobody funds my projects just because I think they would be fun to do. We have to apply for funding many times – and occasionally we get a green light.